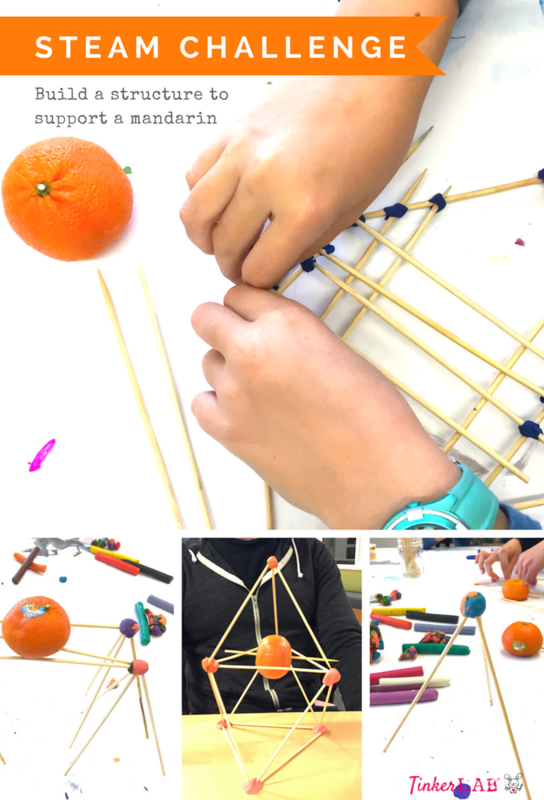 This open-ended STEAM project encourages children to use creative and critical thinking skills to build a structure, with limited supplies, to support a mandarin. 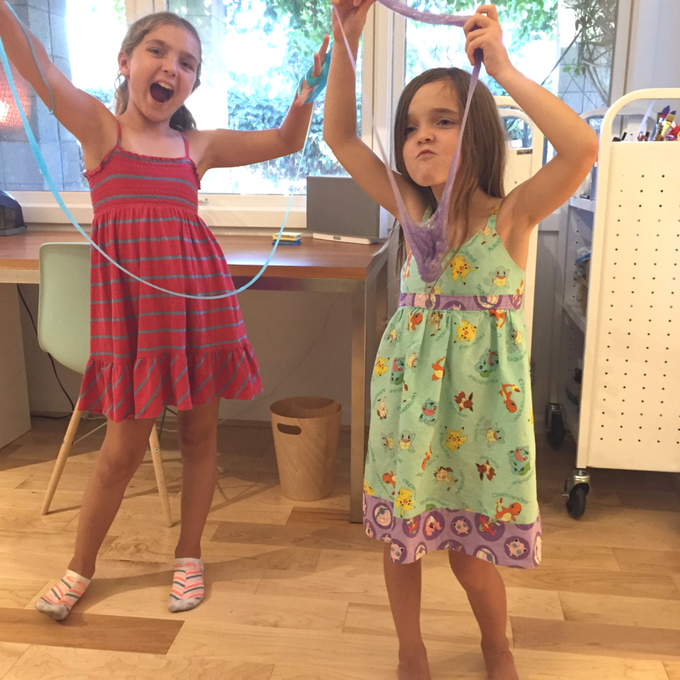 Once you set up the building invitation, stand back (or build side-by-side) and watch imaginations unfold. Sky is the limit, creativity is encouraged, and all solutions are welcome! New to STEAM? 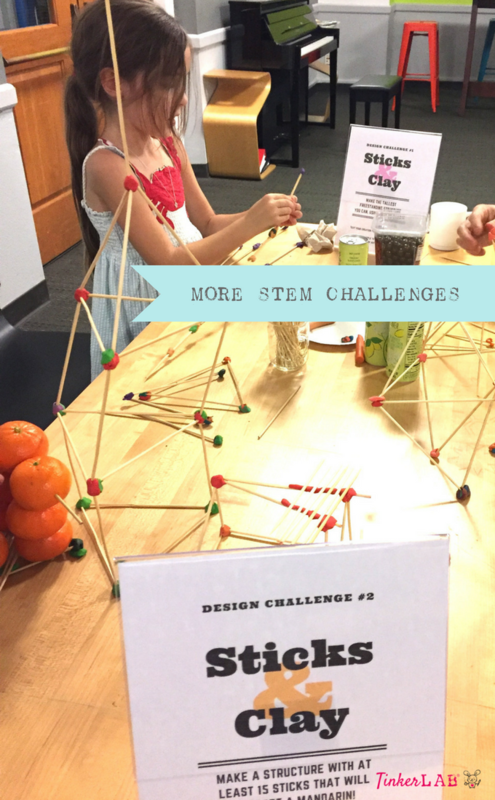 STEAM stands for Science, Technology, Engineering, Art, and Math. A STEAM project incorporates at least two of these disciplines in one project. 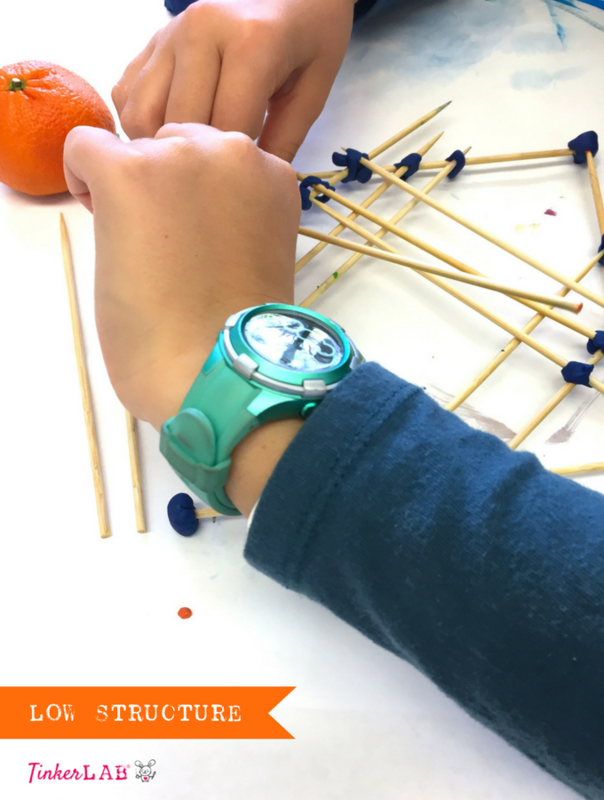 In this challenge, we will work with engineering and art. 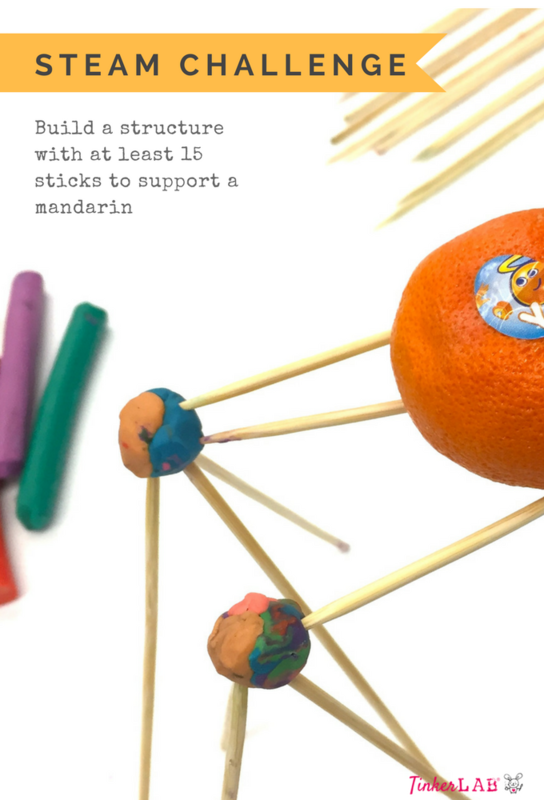 Build a structure, using at least 15 skewers, to support a mandarin. * Note: If you have a different size skewer, that’s fine, too! The set up is simple. Clear the table and set up the supplies, including a small collection of Wonderful Halos mandarins. They are a great snack time treat, and can be included in creative engineering projects to teach kids that healthy snacking is fun. They’re in season from November to May, and I can’t forget to mention that Wonderful Halos are sweet, seedless and easy to peel, perfect for kids and adults! Fill a cup with skewers. 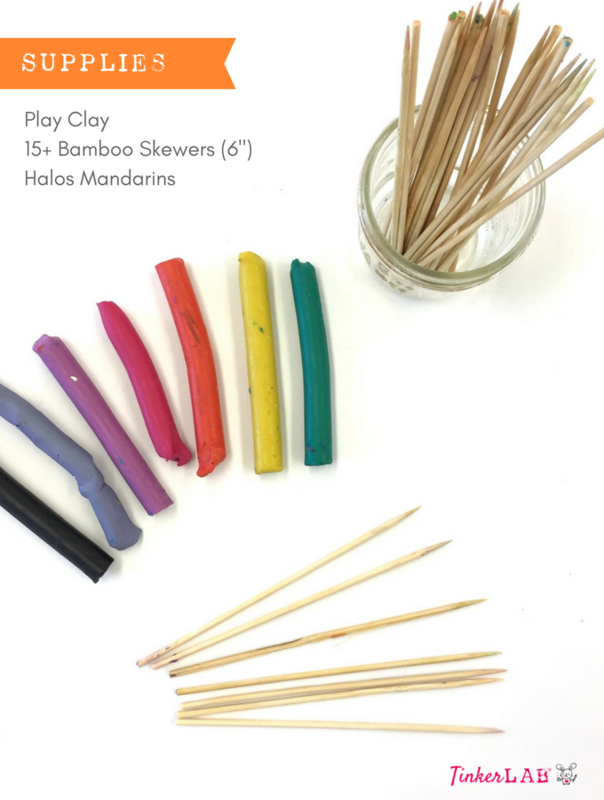 Open box of modeling clay. 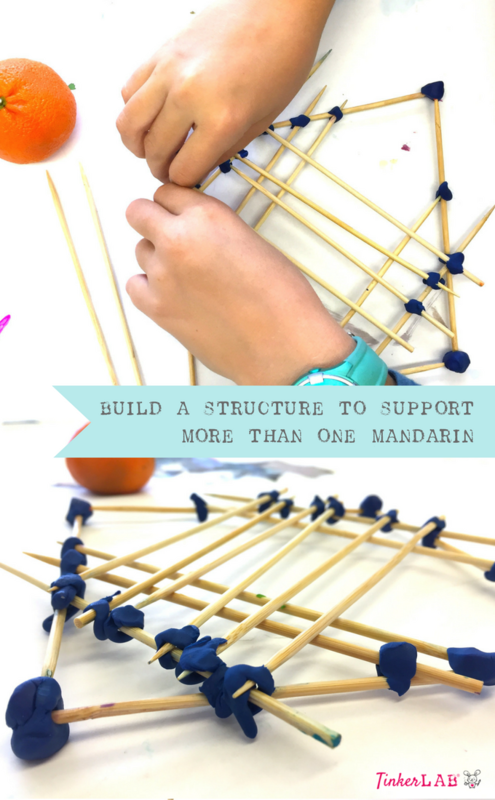 Place all the supplies on the table and invite your child to build a structure, using at least 15 sticks, to support a mandarin. The solutions we saw were wildly different. 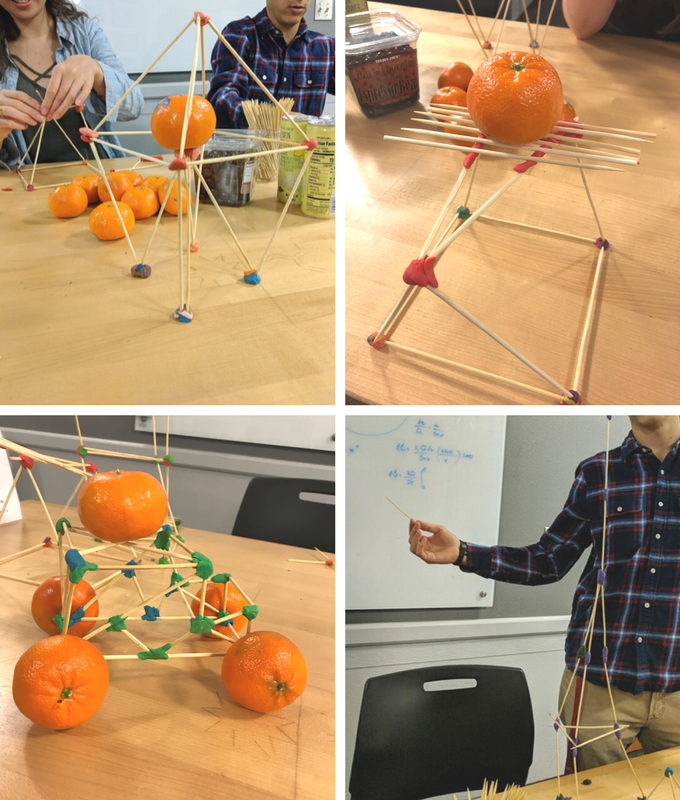 This totally stable structure was able to support multiple mandarins. Scroll down to see the results. None of the mandarins touched the table! 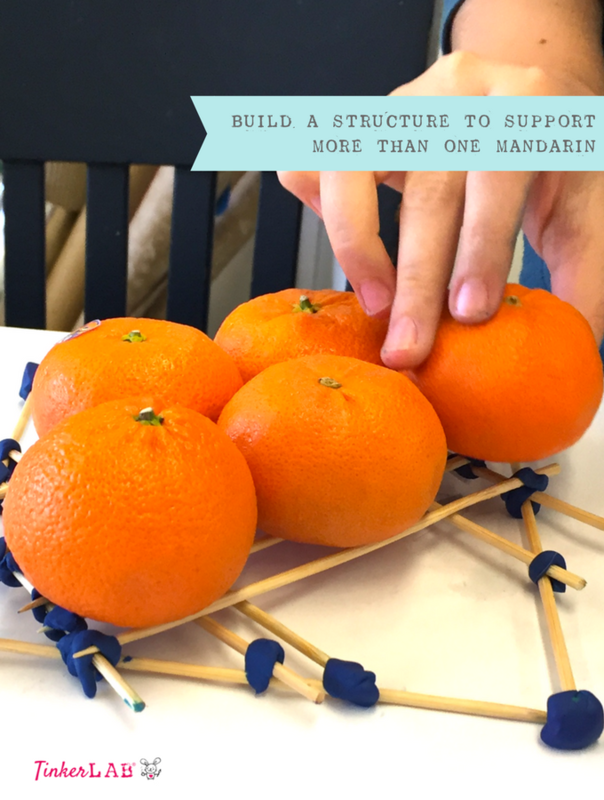 This solution actually prompted a new challenge to build a structure that can support more than one mandarin. This one gets points for ingenuity. 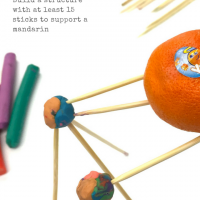 Nothing in the challenge says that the mandarin has to balance on the sticks. Totally cracked me up. Genius! The above structure was built with 4 tripods and exactly 15 sticks. Works like a charm! 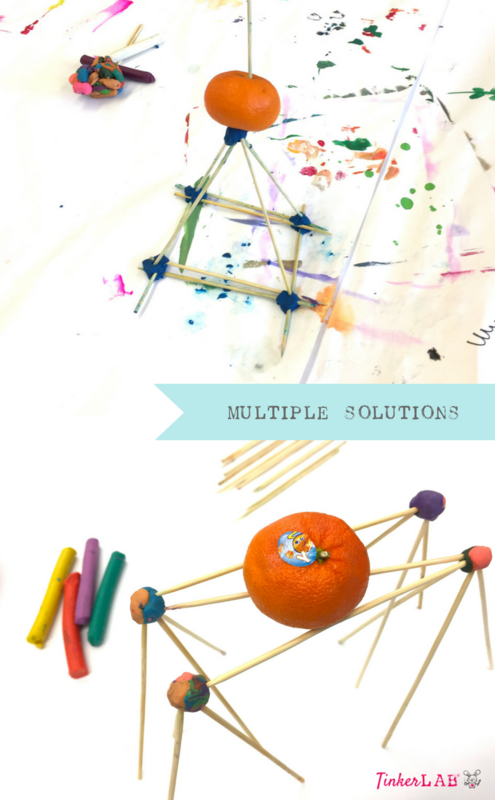 All of these solutions prompted more challenge ideas! We tested this with a group of Stanford students (so fun – they’re such a brilliant group!) who came up with more novel solutions. 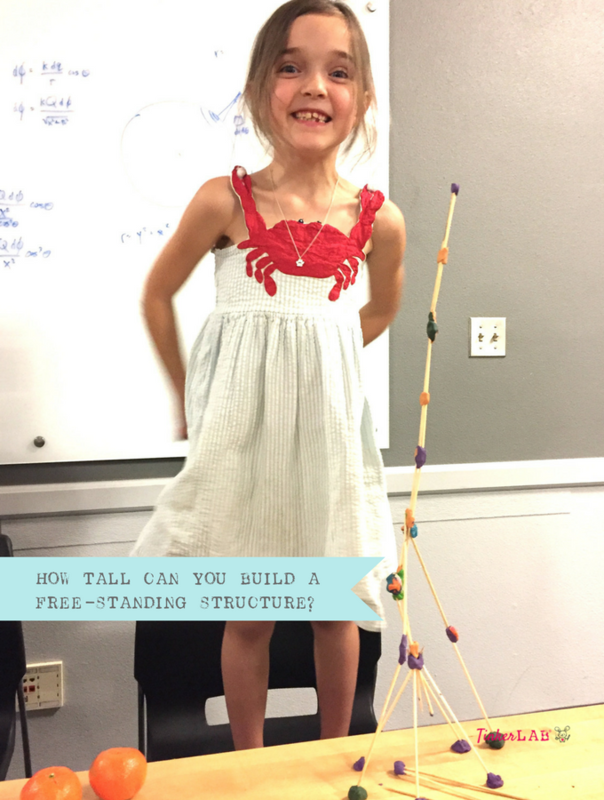 Make the Tallest Free-standing Structure you can, using just 20 sticks. My 7-year old loved this one, especially with Wonderful Halos by her side. Just look at her face to see how proud she is to accomplish the task! This one was mentioned earlier. My 9-year old loved got wrapped up in aesthetics during the assembly process. Two of the aforementioned Stanford students built this truck, inspired by the Stanford d.School Truck, an old fashioned truck, parked right inside the Hasso Platner Institute of Design. 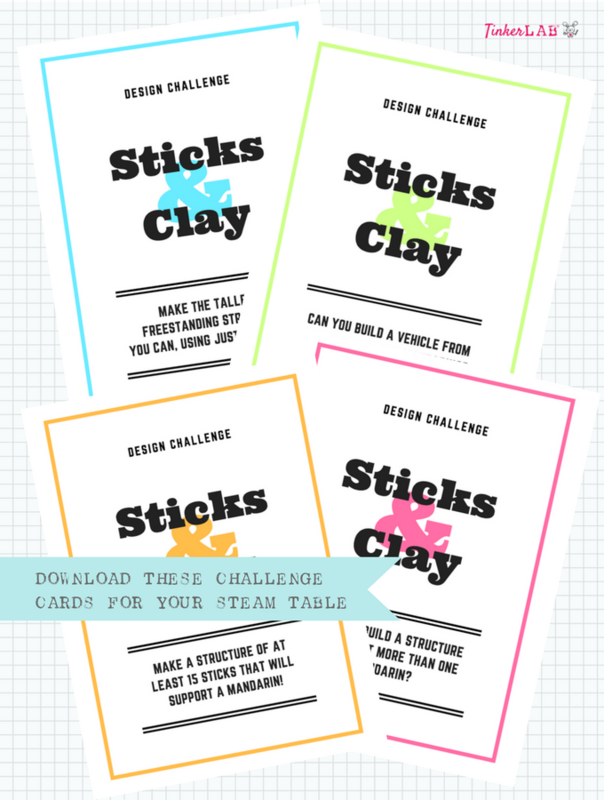 Click the image below or click this link to download your FREE Design Challenge cards. Thank you Wonderful Halos for sponsoring this post. All opinions are my own. DIY Water Wall, it’s like a marble run, but with water! I have yet to meet a kid who isn’t crazy for slime. We first made slime when my daughter was two. 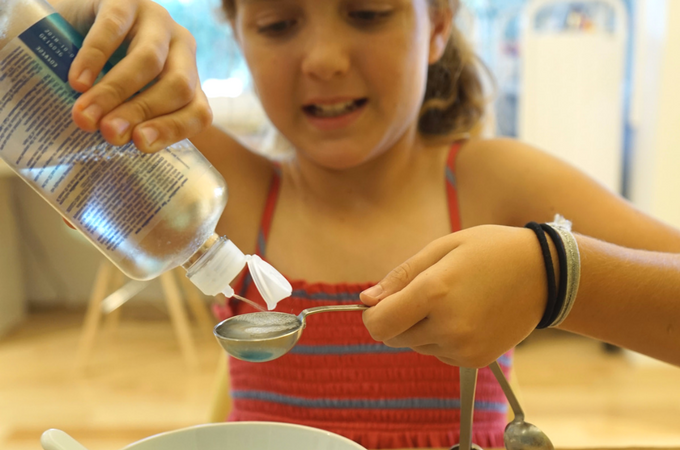 It was such a hit that we printed up the recipe (download it here) and I published it in my book, TinkerLab: A Hands-on Guide for Little Inventors. 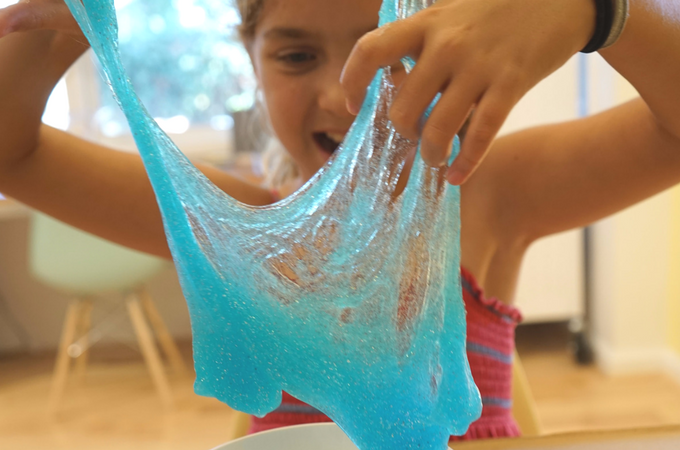 TinkerLab has readers from all over the world, and I learned that not all of the ingredients in our original slime recipe can be found outside of the United States. 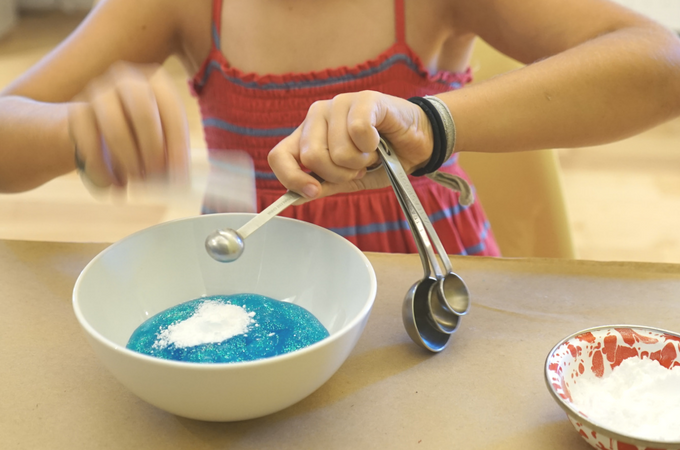 So, I did some digging to find an incredible slime recipe that can be made with ingredients – worldwide. 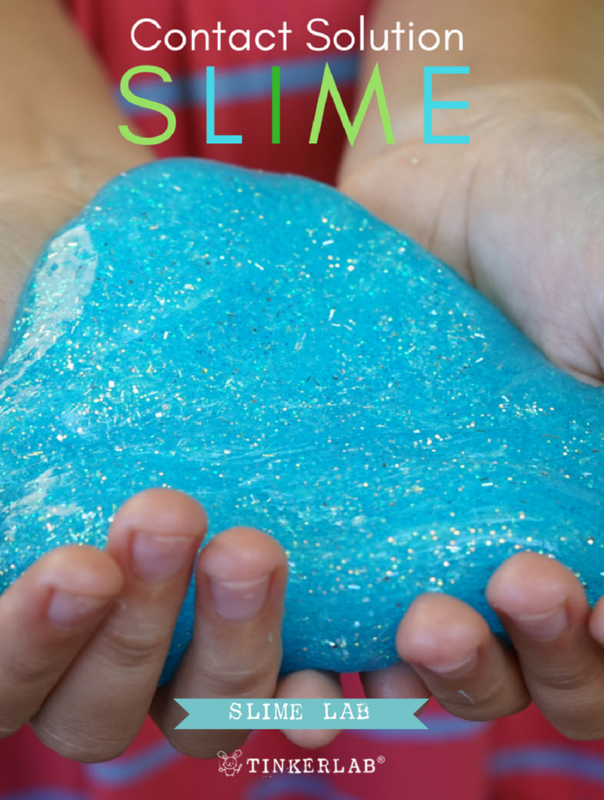 Low and behold, I found a simple over-the-counter slime recipe, and it’s amazing! My kids tested it, loved it, stretched it, played with it endlessly, packed it away in plastic baggies, and have continued to use it for over the past few weeks. Plus, glitter! 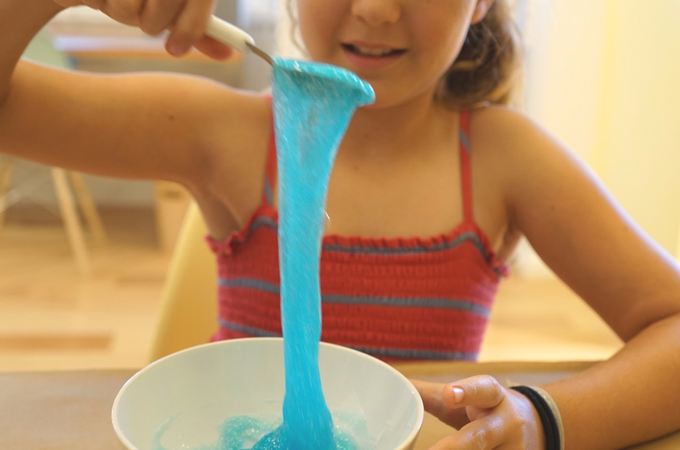 We’ve always used Elmer’s school glue for our slime (I stock gallons of it – no joke! 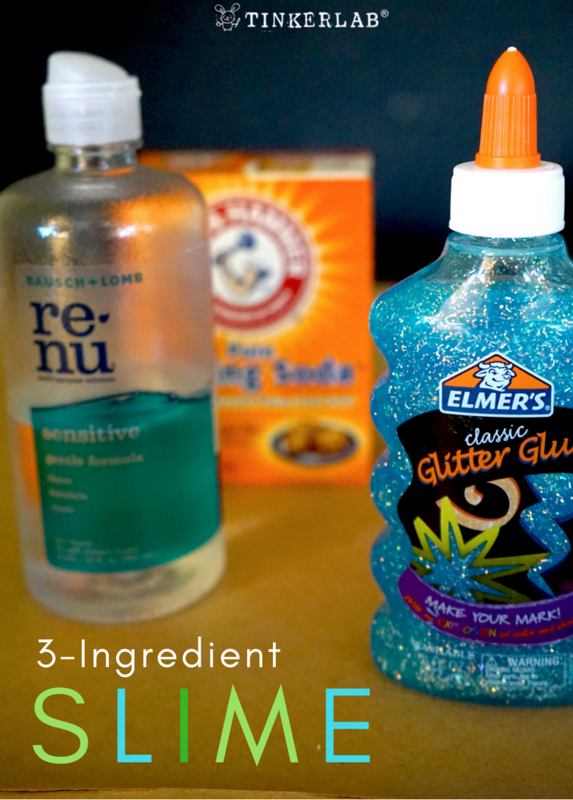 ), and it’s no surprise that Elmer’s is also behind the Glitter Glue in this Glitter Slime recipe. 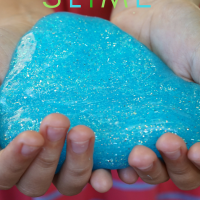 Not only is Elmer’s a solid product that I trust for our crafting needs, but it’s also affordable, making slime an economical activity that keeps on giving. Stir in the baking soda. Mix well. Add contact solution and mix until slime forms. You’ll notice it comes together immediately, and takes a few minutes to fully form. 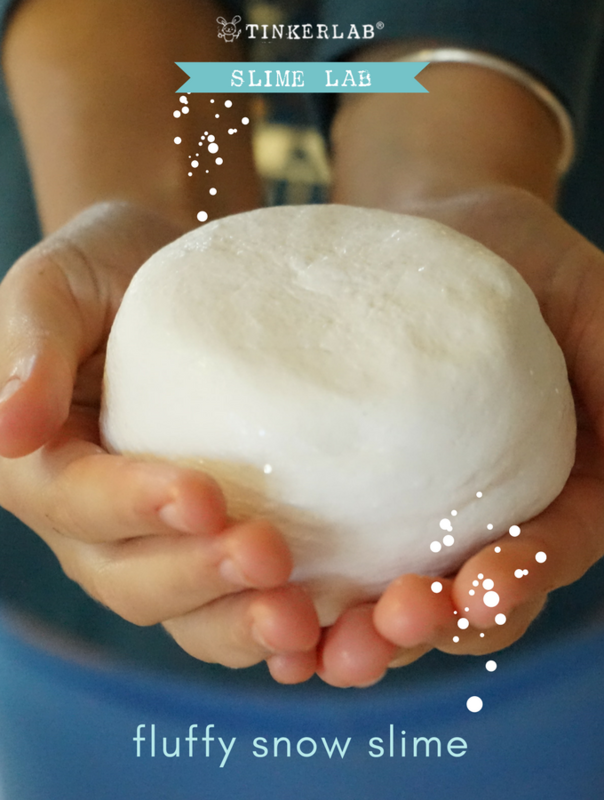 Knead the slime with your hands to get it to a consistency you’re happy with. You’ll notice it comes together immediately, and takes a few minutes to fully form. 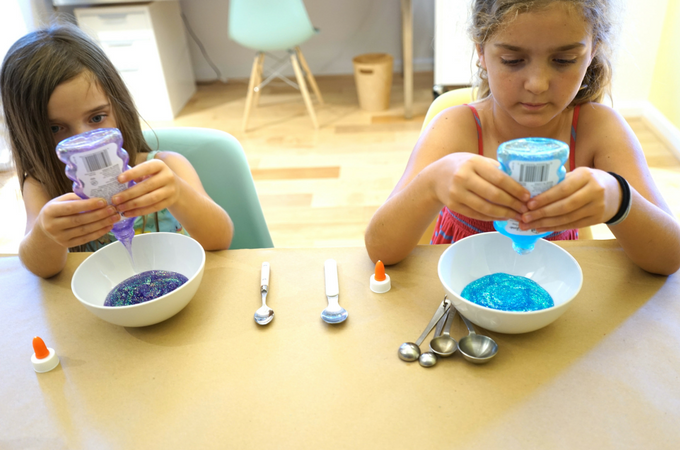 Note: Be sure to wash your hands after playing with slime, and always use your best judgement when using sensory and art supplies with children. Contact solution contains boric acid which is a disinfectant that keeps the eyes fungus-free. This makes contact lens wearer’s eyes super happy. School glue contains polyvinyl alcohol (also known as PVA) which is made up of ethylene, oxygen, and acetic acid (from vinegar). Here’s how it the slime comes together: The polyvinyl alcohol molecules (found in the glue) and boric acid (found in the contact solution) combine and stick together. As they combine they make a polymer chain, which is the slime! 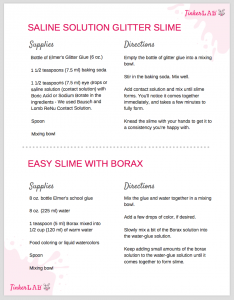 Are you interested in the difference between Borax and Boric Acid? Click over to this slime recipe for the full scoop. Thank you Elmer’s for sponsoring this post. All opinions are my own.